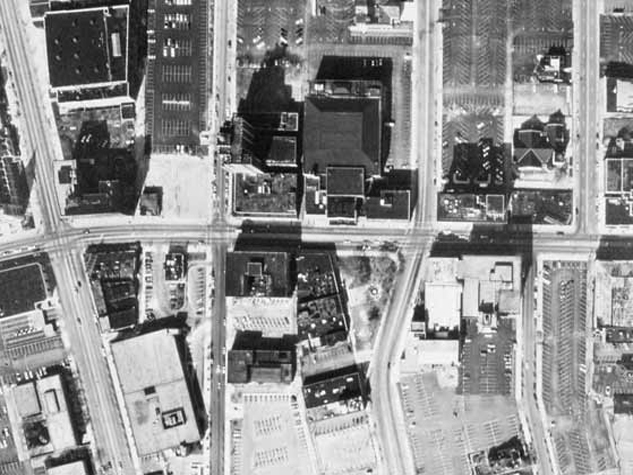 “The idea of interventions filling the gaps of a city was the basis of Miss’s collaboration with architects Robert Mangurian and Mary Ann Ray for the arts district along Grand Street in St. Louis. In this project, Miss and her collaborators made the leap from a site-specific installation to urban design, but “master planning” is a misnomer for the series of insertions and mediations layered on existing spaces and buildings. The interventions do not assume tabula rasa bulldozing, but incremental change over time. The plan called for a thirty-year strategy for small improvements that would cumulatively re-characterize this former entertainment district. 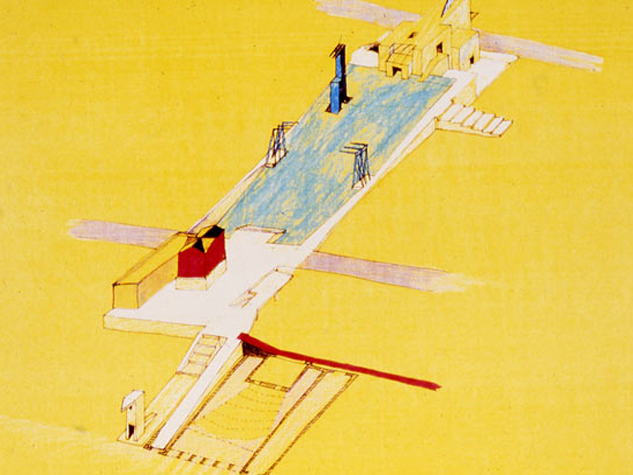 Miss and the architects devised seven approaches ranging from small to large scale. Grand Street, the spine of the district, was conceived [was the street already extant?] at the principle stage of intervention: anything on Grand was considered formal set design [main stage? ], and anything off of Grand, off stage or back stage. As in many down-on-their-heels [dilapidated] urban neighborhoods, many empty spaces, some used for parking, surrounded solitary buildings. The artist and designers decided to let them stand as interesting objects, perhaps set off by greenery. 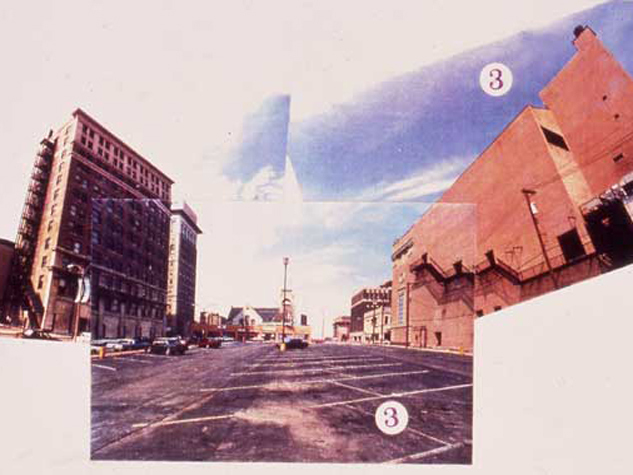 The three artists looked at elements, like bus stops, trash receptacles, fire escapes, and billboards that could be isolated and transformed into special visual or functional “events” and then repeated to form a cumulative pattern inlaid throughout the district. One of these seven approaches would find a place on most properties, at a small or large scale, and, though it would be impossible to predict the outcome in thirty years, the strategy would foster a varied but consistent fabric over time.